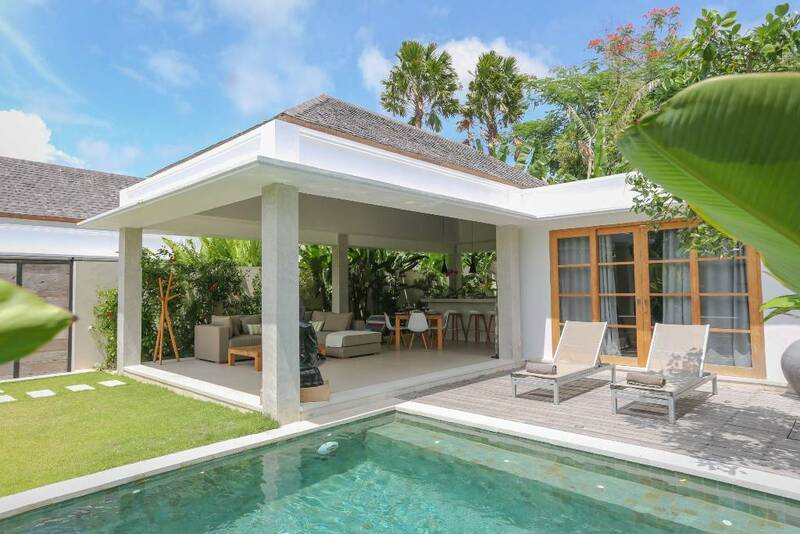 Villa of 1 bedroom with bathroom, pool, garden and private parking. 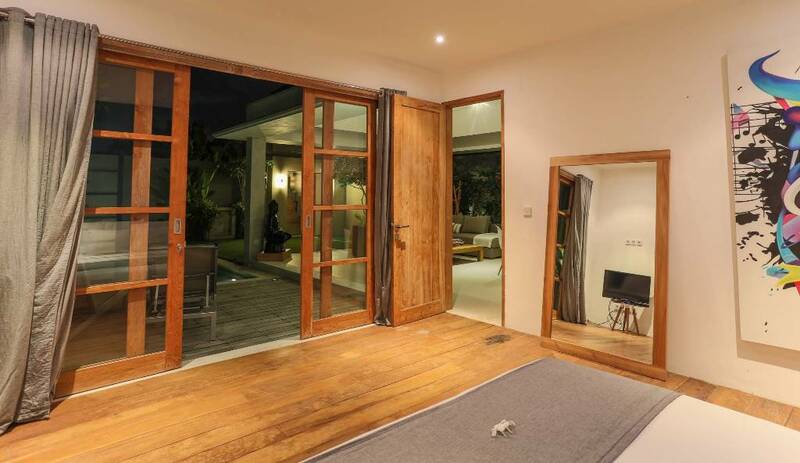 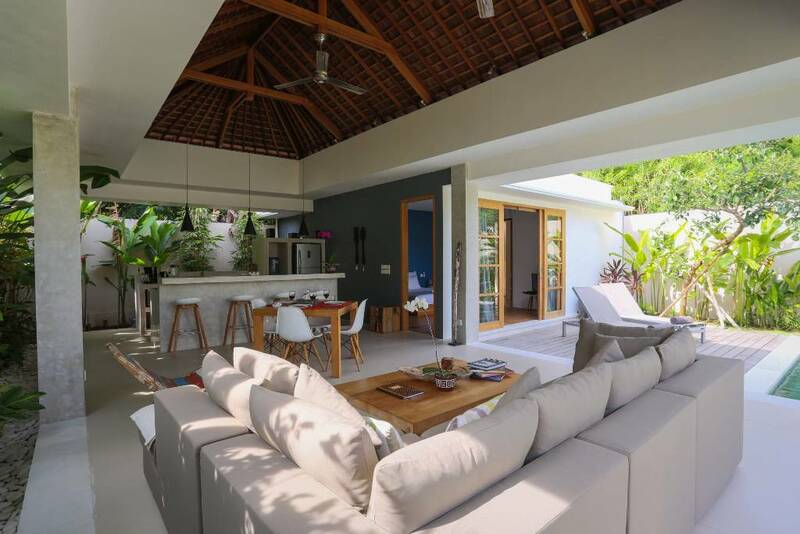 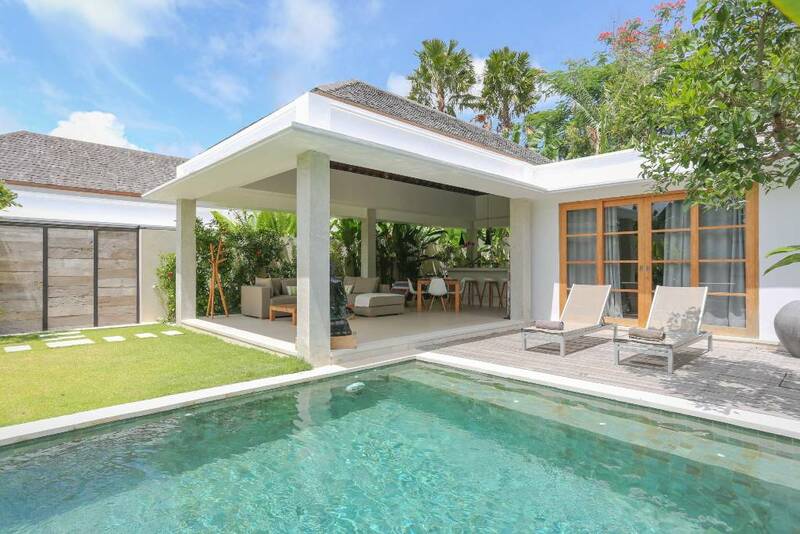 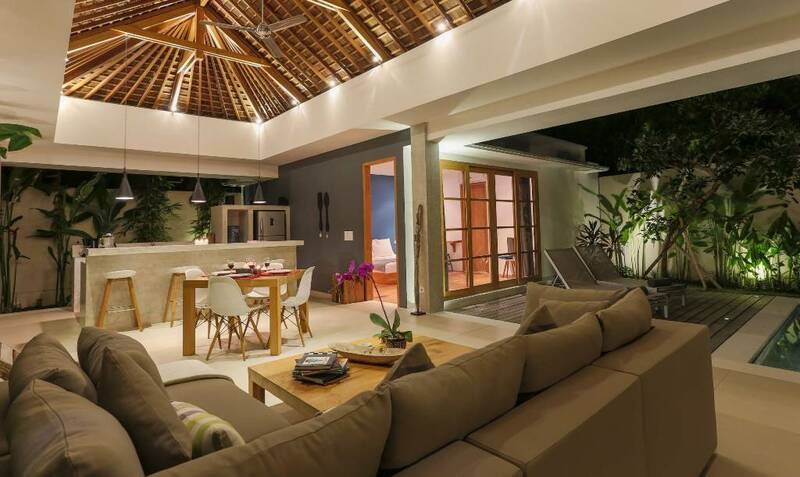 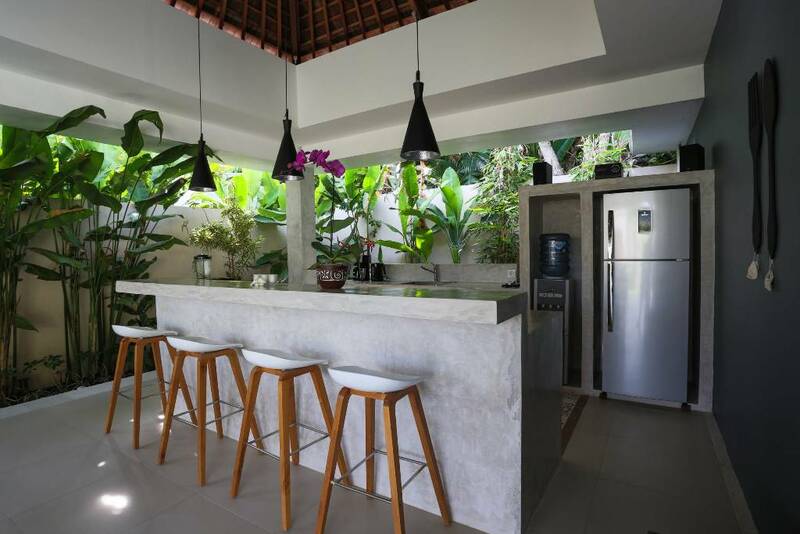 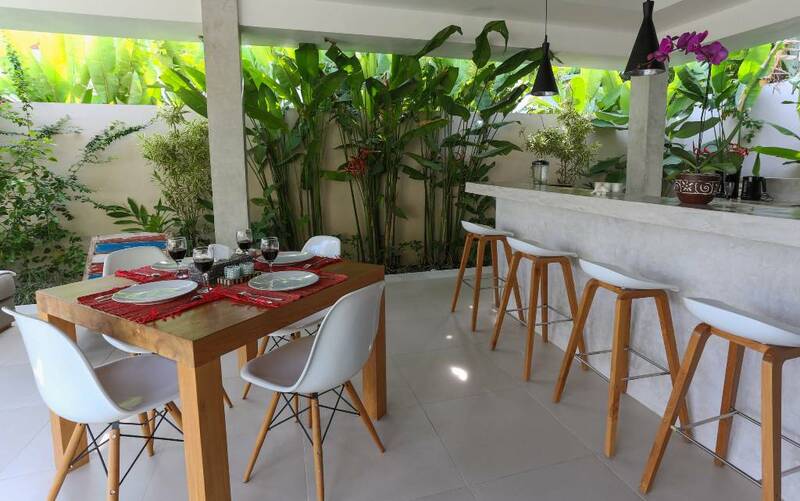 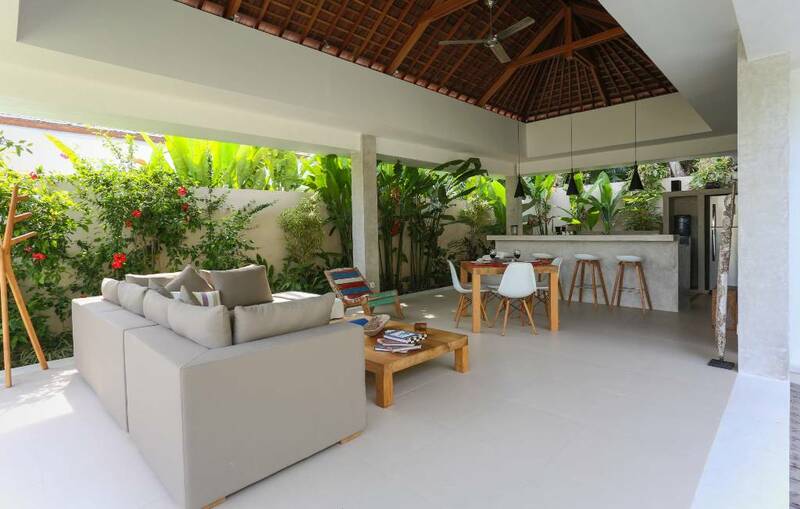 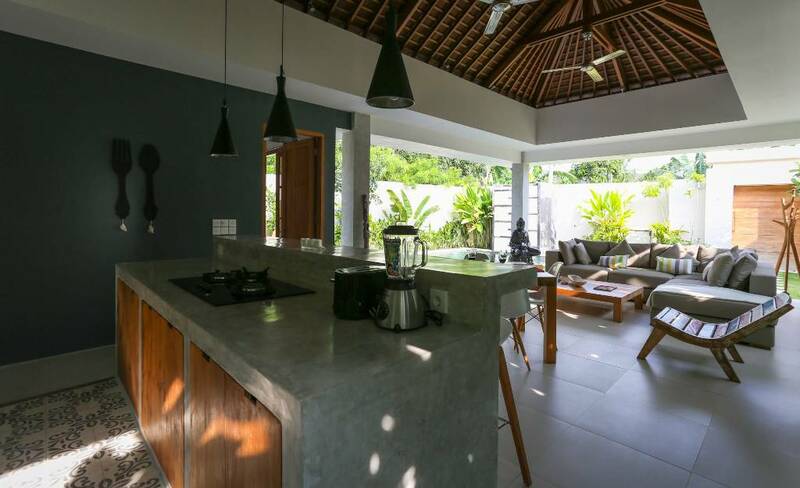 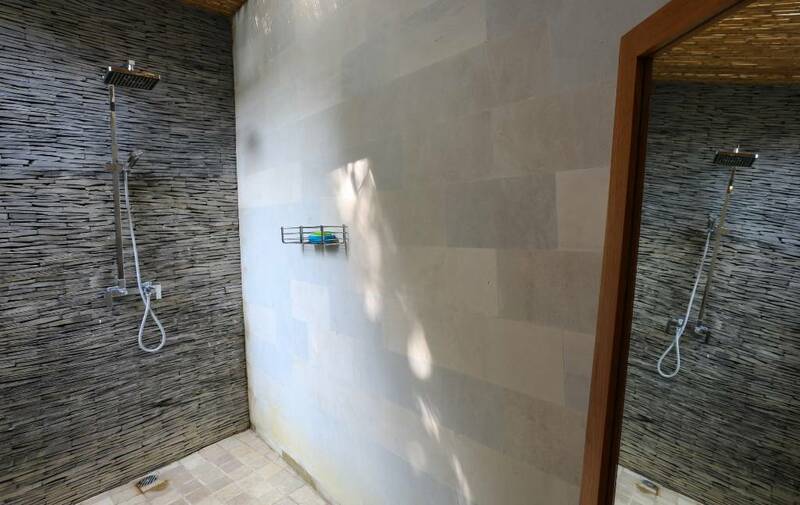 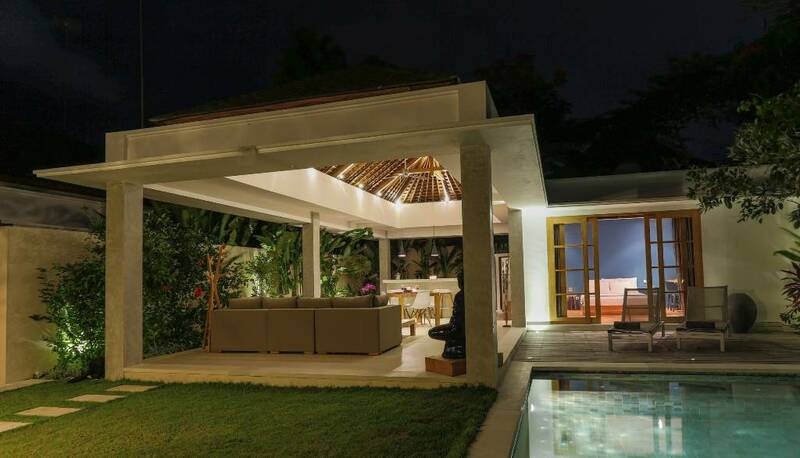 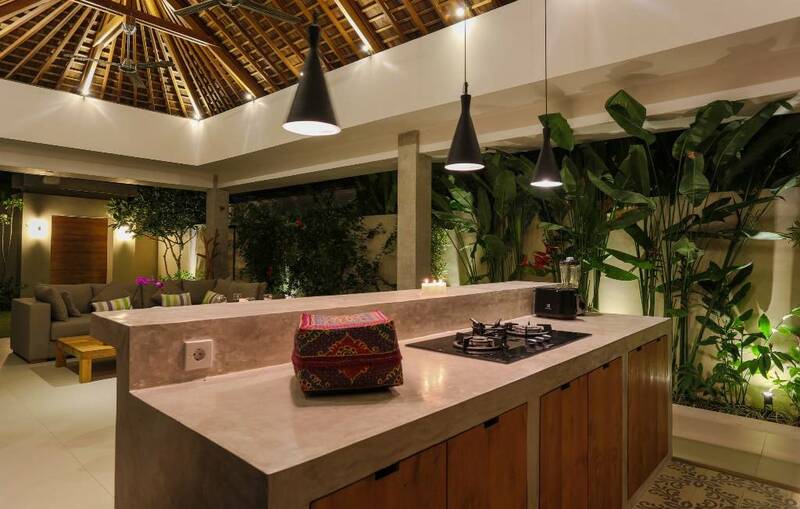 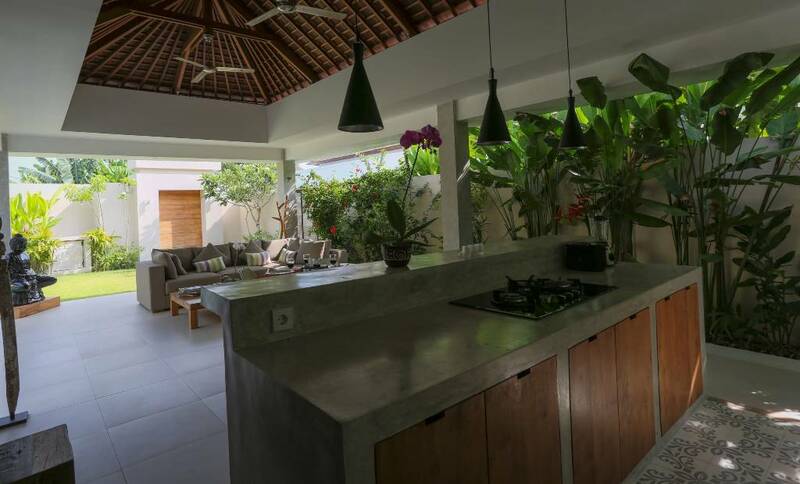 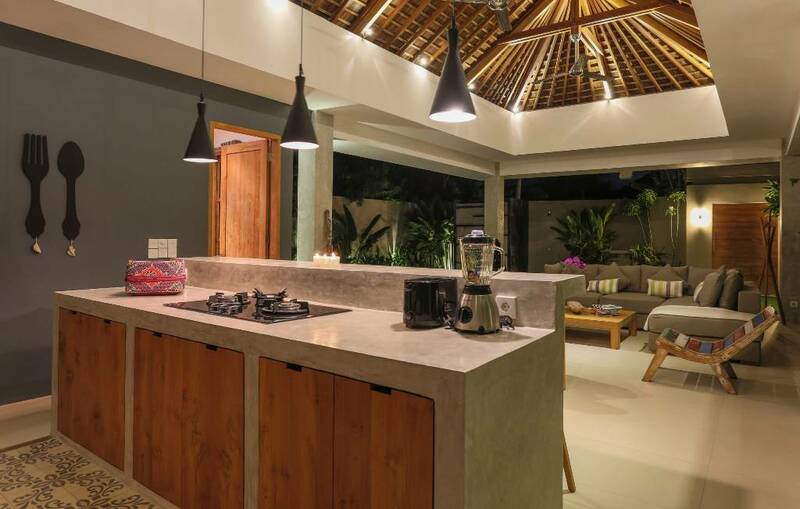 This beautiful villa, built in 2014, is situated in the quiet and cozy neighborhood of Umalas, with only 5 minutes to Batu Belig and Petitenget beach. 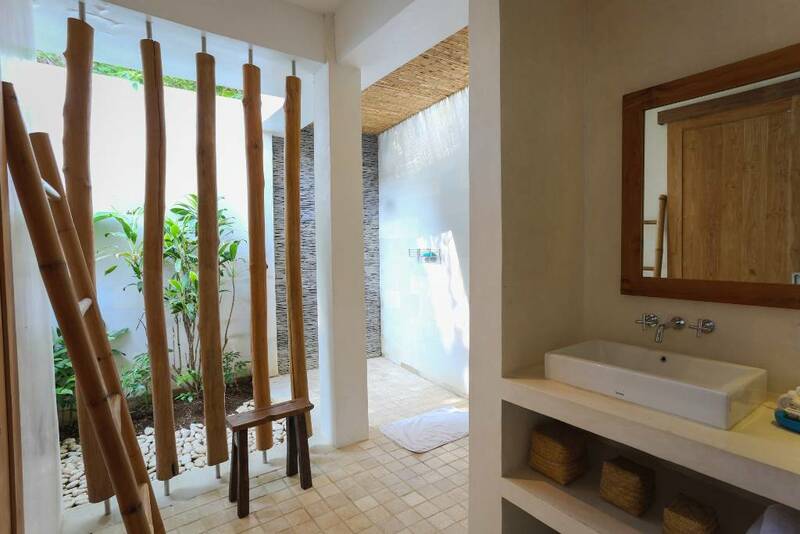 Here guests can escape from the world within an natural lush environment. 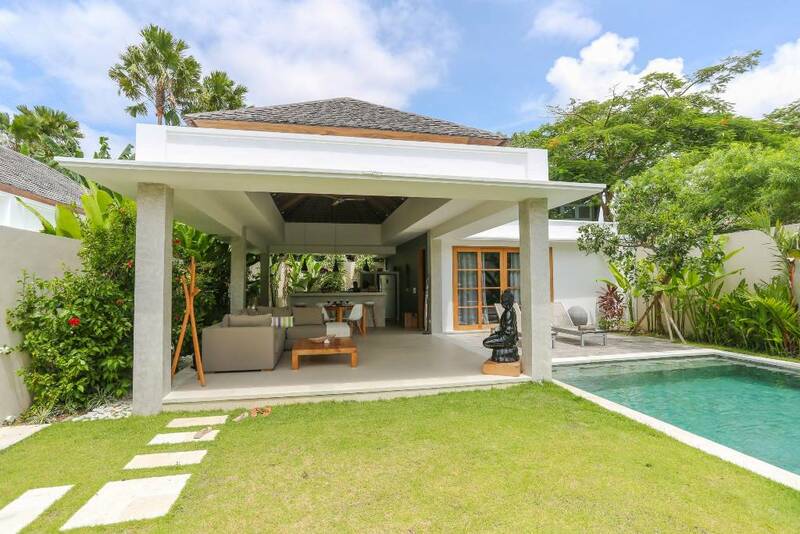 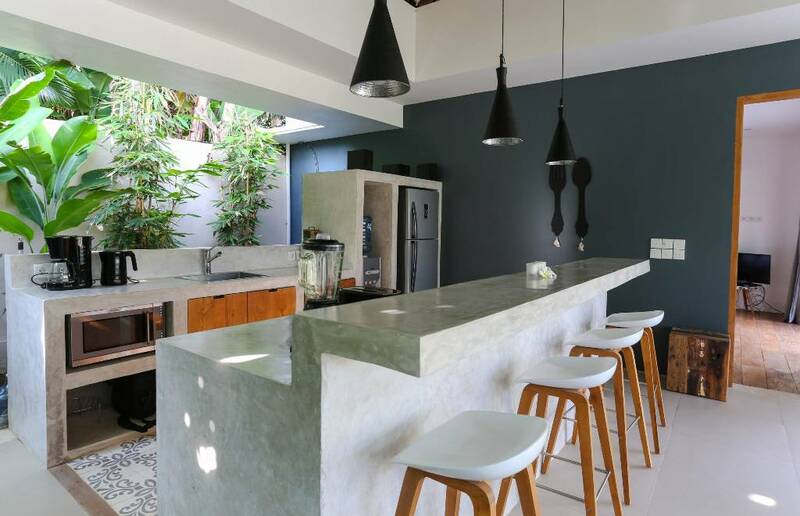 It takes only 10 minutes to reach the lively neigborhood of Seminyak, where you could find many trendy spots such as Ku De Ta or Potatoe Head, prestigious restaurants such as Sarong or Metis and others shops, bars and clubs. 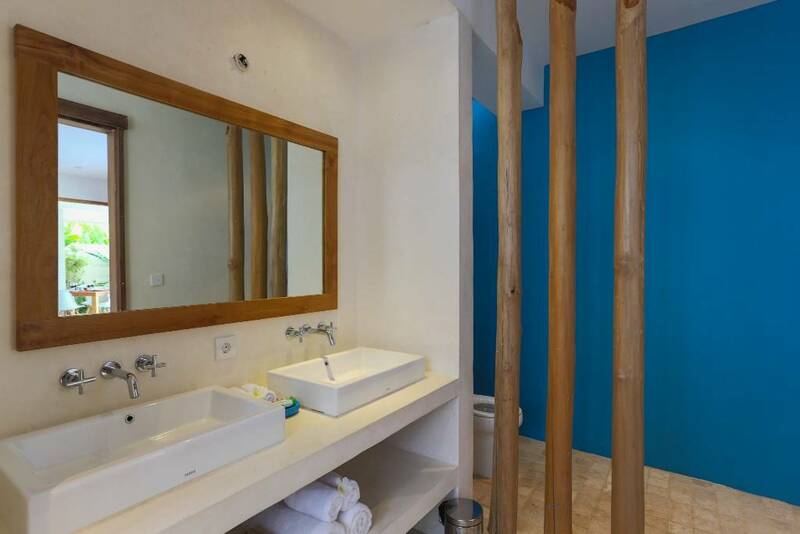 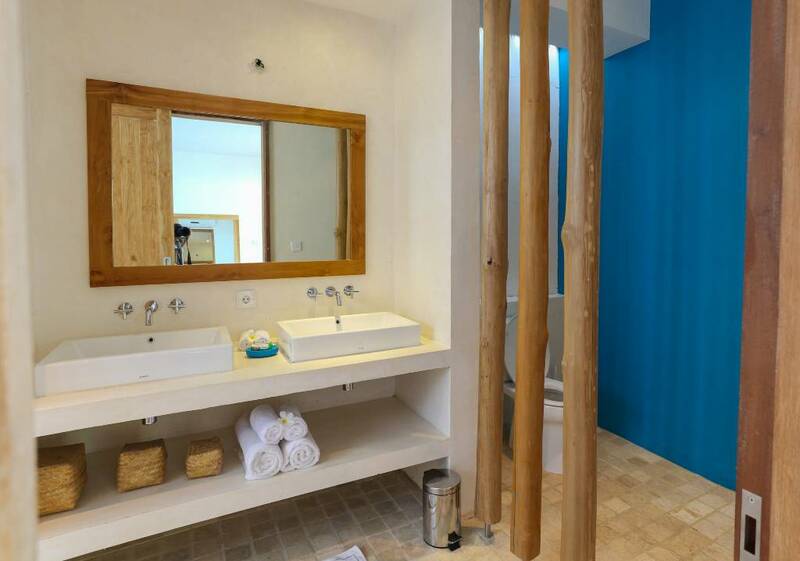 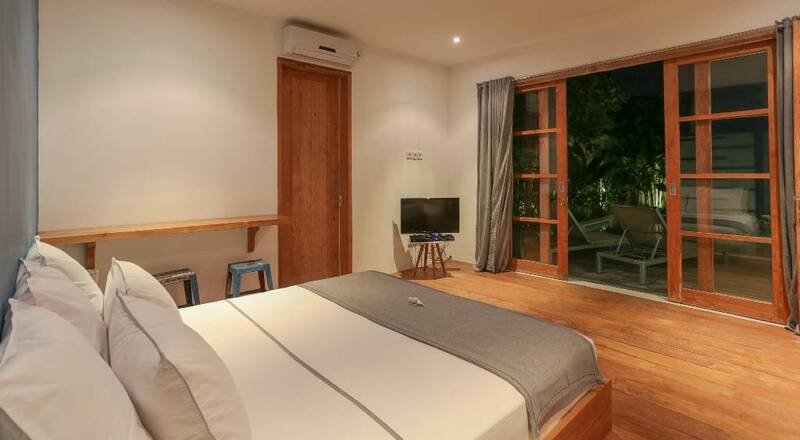 The spacious bedroom is equipped with quiet air-conditioner, King-Size bed, dressing area and a beautiful semi-open bathroom with shower. 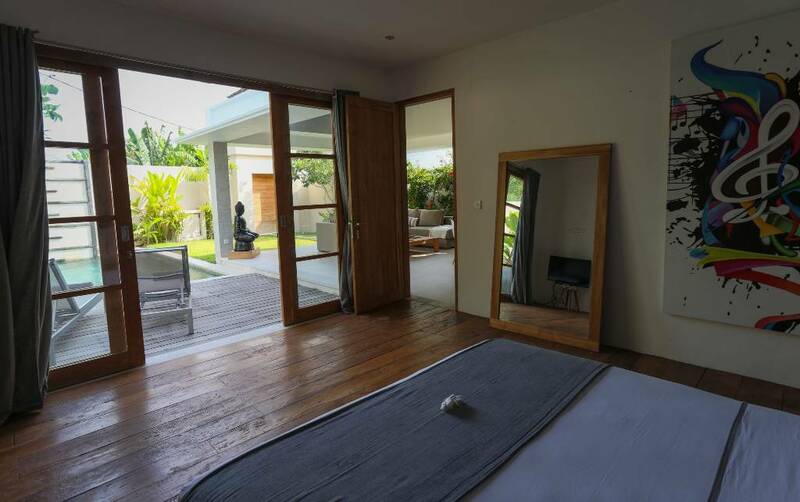 Both bedrooms have large glass sliding doors overviewing the pool side. 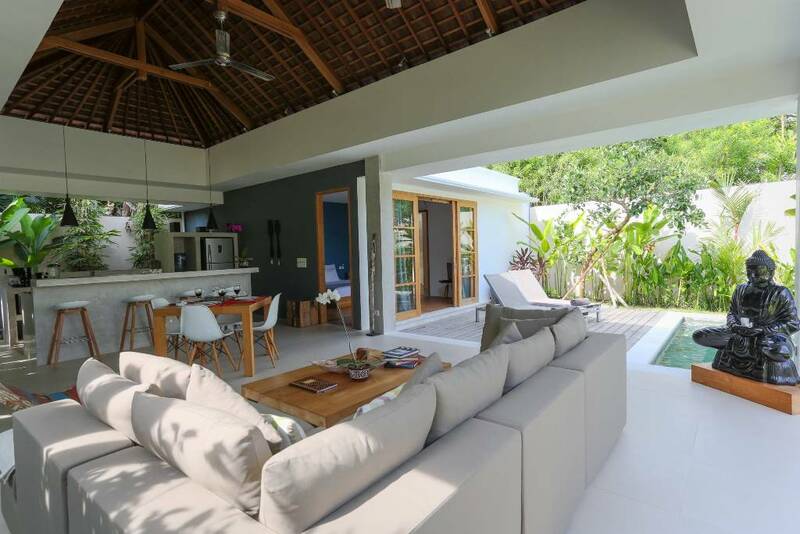 The large living-room is opening on the garden and offering all the modern comfort. 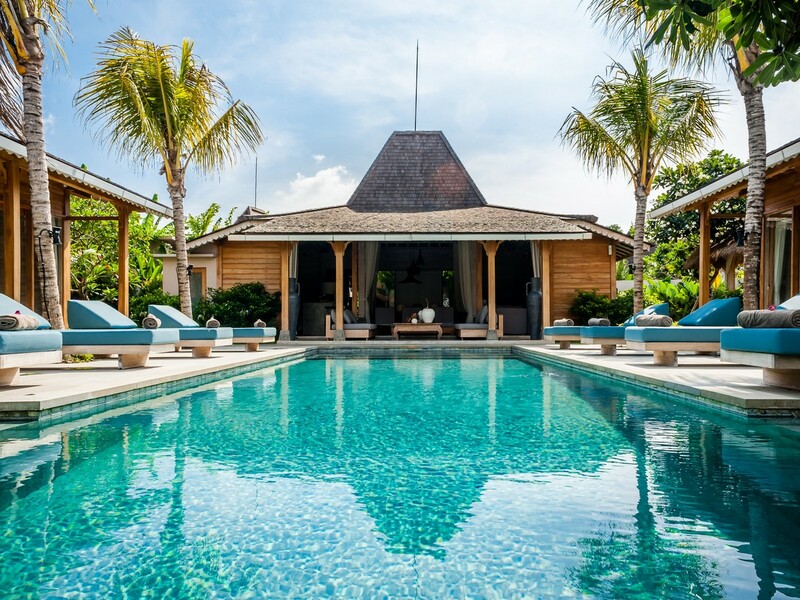 The 6,5 m x 4,5 m private pool and its wooden terrace with sun loungers, is perfect for enjoying balinese sun ! 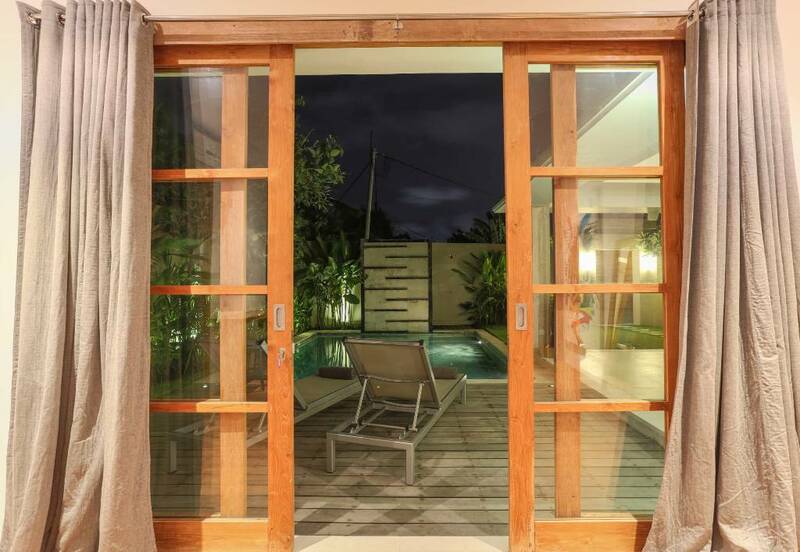 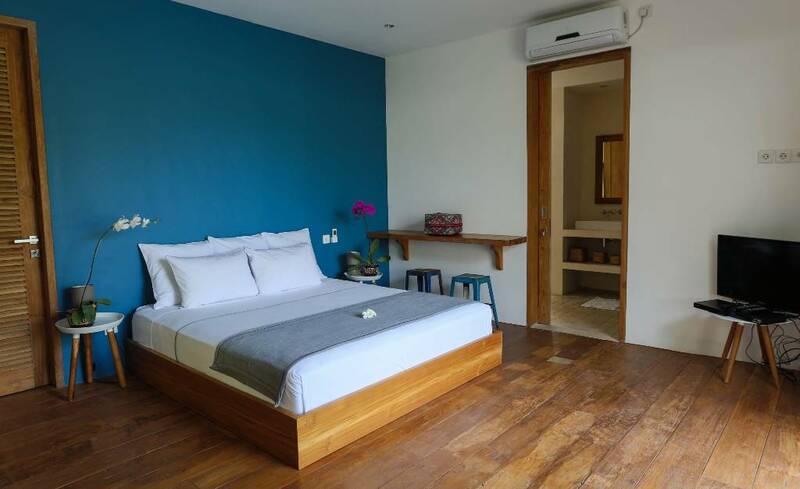 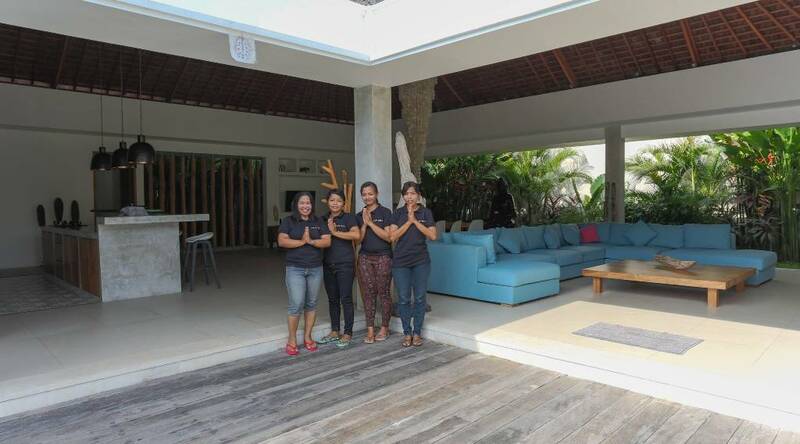 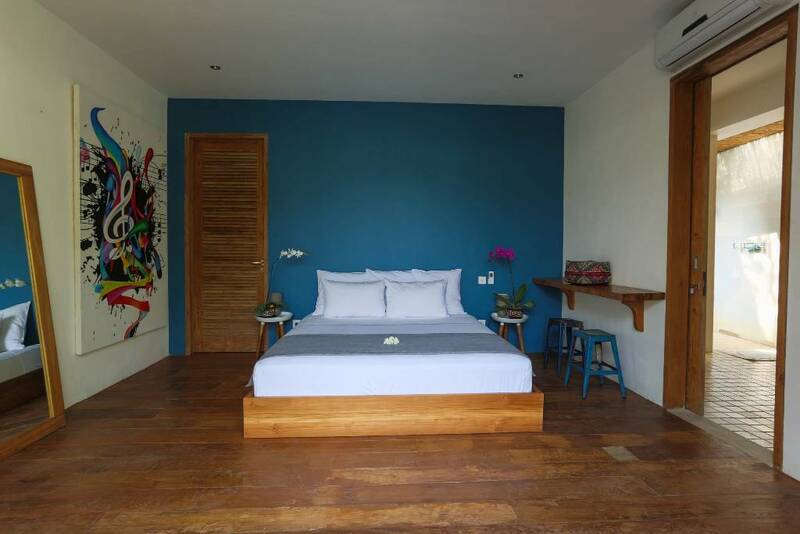 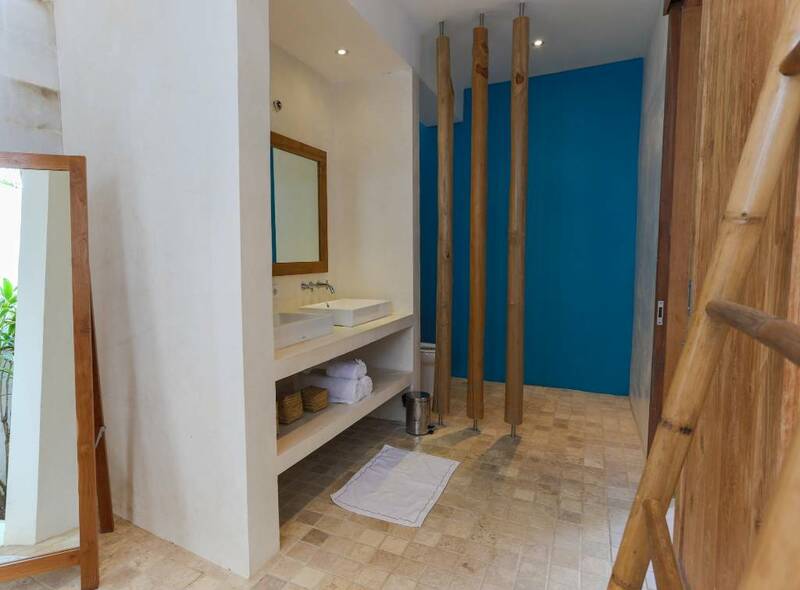 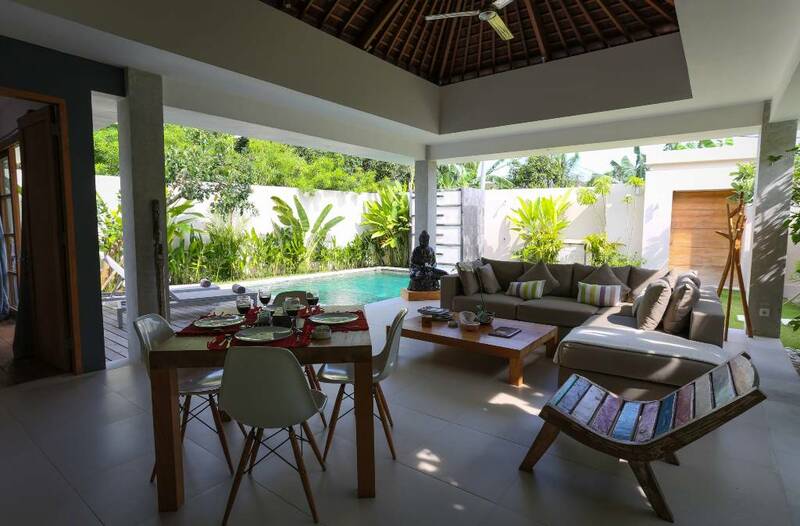 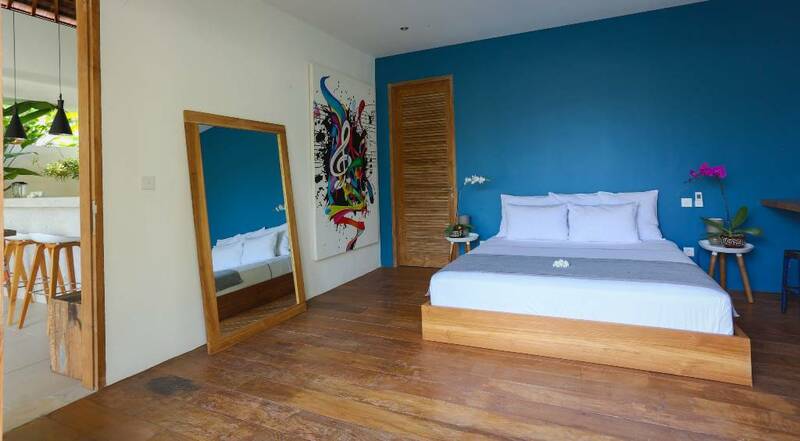 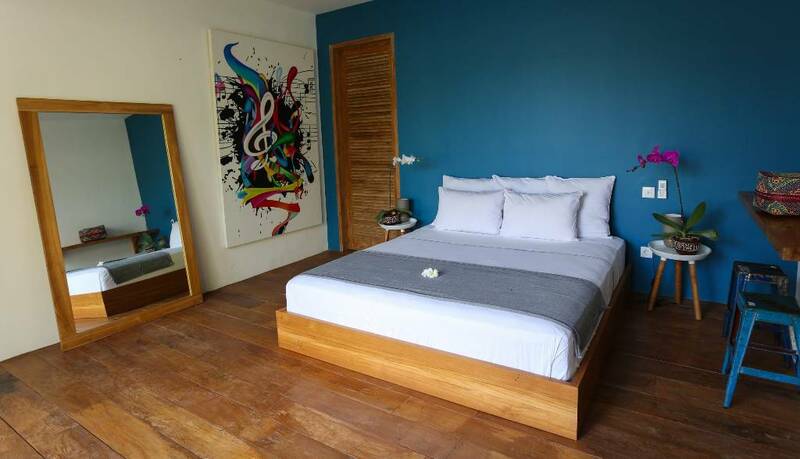 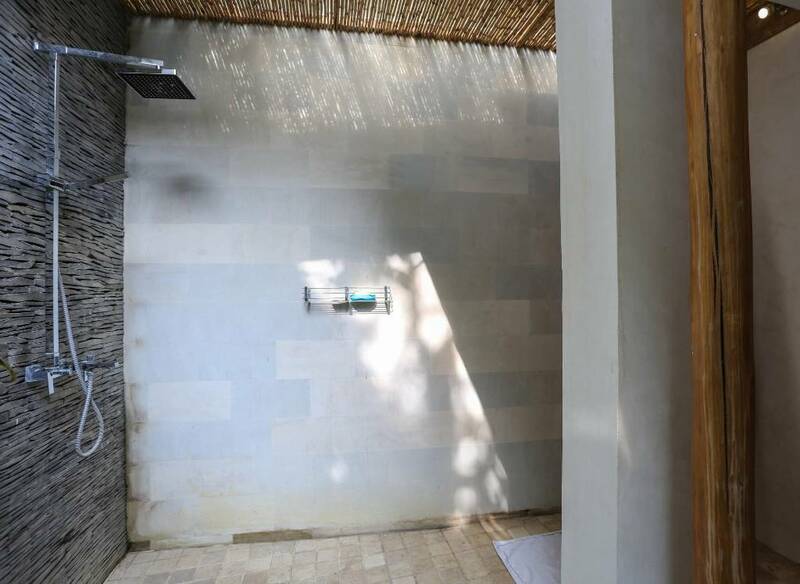 Villa Siki could also be booked with its neigbour, the two bedrooms Villa Kalih, for your stay with friends and family.